Opened in 1899 on the GWR's Oxford & Birmingham Branch, Widney Manor has changed out of all recognition to the station that once hosted the great King class locos hauling Wolverhampton Low Level to Paddington express trains: as with some of the other stations on this line (Lapworth, for example) I'd strongly recommend viewing some old photographs of this station before looking at the present site. 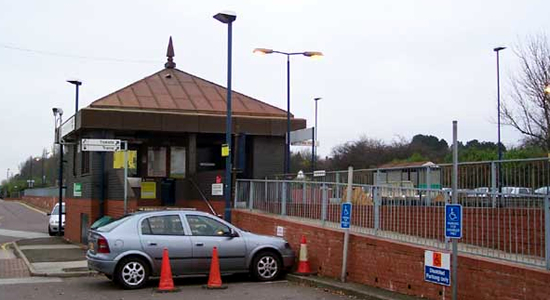 That said, above we see the station building (glorified hut) at the entrance to the Birmingham platform. This building, and indeed the car park in this shot, are actually standing on the old trackbed of the double track relief lines which were lifted when the line was downgraded to a local route after having enjoyed a relatively short shelf-life as they were only constructed in 1933. 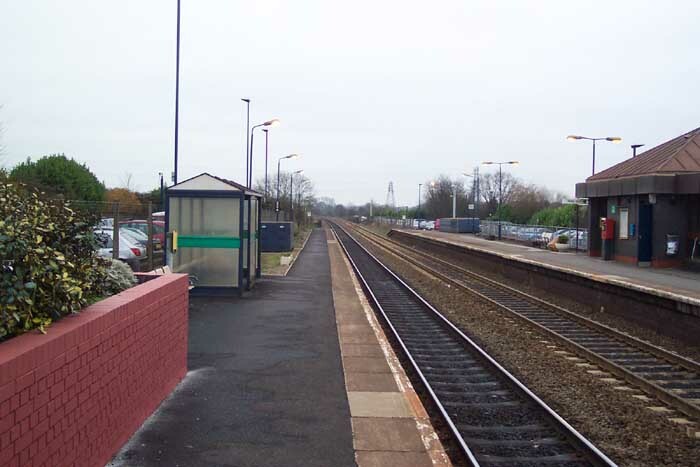 Above-left we are on the Leamington Spa platform looking across at the station building and above-right at the bus shelter on this platform. 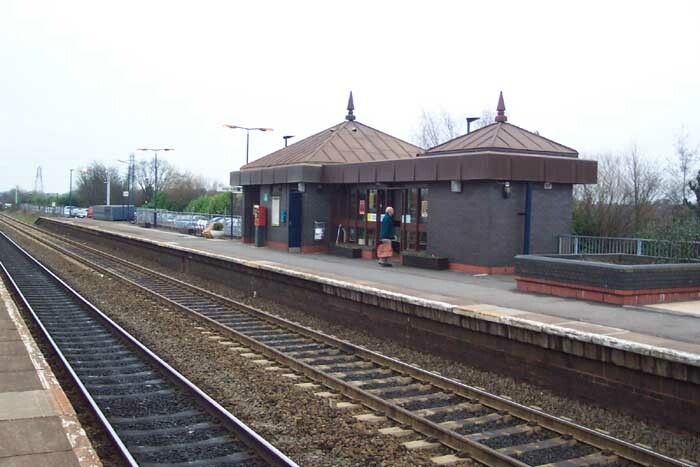 Originally, there were fully canopied station buildings on each platform with a covered footbridge spanning the then three platforms - the Birmingham platform once being an island platform. 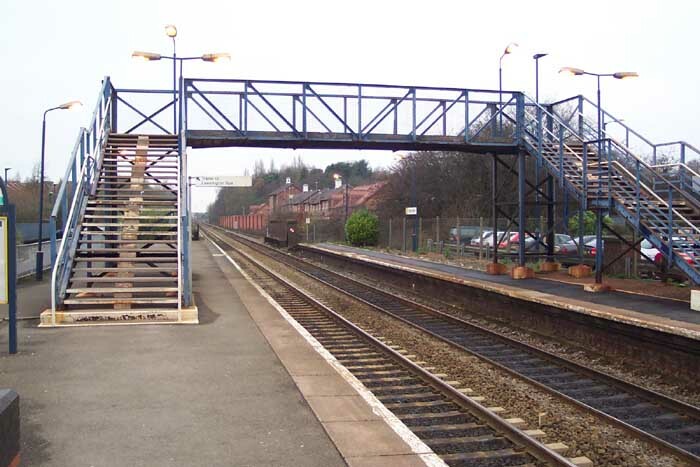 Above-left we see the current footbridge which, as was eluded to above, is not original (although appears to be in a poor, rusting and flaked painted state-of-repair). 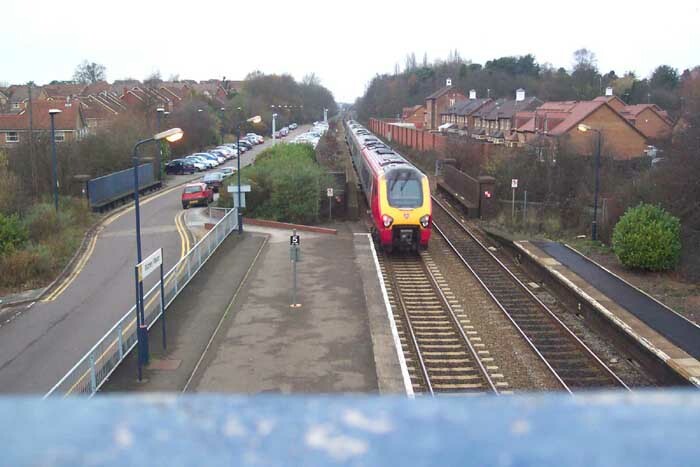 Above-right is a more interesting shot from the footbridge looking towards Birmingham as a Virgin Pendolino has just passed through the station. The site of the relief lines can clearly be seen to the left and is now occupied by a roadway to a car park. One major clue visible from this vantage point is the bridge parapet on the left-hand side which gives an indication of the original width of the trackbed.